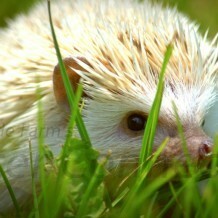 Information » Purchasing a Hedgehog » Why Are Hedgehogs Difficult To Find? Why Are Hedgehogs Difficult To Find? The United States Department of Agriculture (USDA) regulates the sale of exotic animals. All pet stores selling hedgehogs and all breeders who have three or more females are required to be USDA licensed. Many pet stores and potential breeders simply do not want the hassle of becoming USDA licensed. Breeding and selling hedgehogs is a lot of work. Much time, effort and expense is necessary to care for the animals, as well as to market and sell the babies. Many people have commented to us “there must be a good market for hedgehog babies because there aren’t many around”. We believe the opposite is true. There aren’t many around because the market for them isn’t good. Our average customer drives 2.5 hours to get to us. If we relied on local customers we would have been out of business many years ago. There simply isn’t a huge demand for exotic pets. Raising hedgehogs is a prickly business! They aren’t as easy to breed as many people think. Breeders must educate themselves for success and they must be able to educate their customers.